The way it works: We help you edit, design, and lay out your book. Then, we prepare and upload your final files to print on demand books seller sites. What is print on demand books (aka POD)? Picture a big, fancy high resolution digital printer with a computer attached. This is basically the machinery being used to print single copies and small runs of digital books. The print on demand book business model has been around for many years. Thanks to recent advances in digital printing technology, print on demand book quality has come a long way. Today, you may not be able to see a big difference between a digital book and an offset printed book. Print on demand enables you to upload your final book files to various bookseller sites. Many don’t charge you to set up and start selling your book online. The bookseller takes a cut on each book sold. When someone orders your book, the print on demand book company prints it out and sends it to the customer. They will remunerate you accordingly for every book sold on their site. Printing is the most expensive part of self publishing a book. On demand printing saves you money up front. 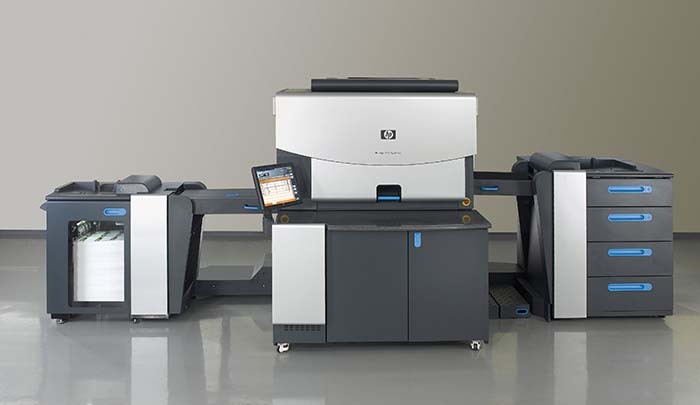 It enables you to print one or a few books at a time as they are ordered by customers. If you don’t have firm orders yet for your book, print on demand helps minimize your risk. It means not being left with cartons of unsold books waiting for the light of day. By saving money up front, you can invest in marketing and PR and create that all important buzz for your book. Once your book takes off, you can always go the offset book printing route and print 1,000 books or more. This is usually the minimum quantity to cost out properly. If your book is mostly black text with maybe a few color diagrams or illustrations, this is perfect for print on demand books. If your book is reliant on high quality color reproduction, such as a coffee table cookbook, offset is probably the way to go. In the long run, offset printing works out to be less cost per book than print on demand. If your book requires a specific size, paper, or binding, POD may not be able to comply. There may be limitations on book size, cover lamination, paper, and binding. If your market research and presales forecast sales of 1,000 books within 2 years, invest in offset printing. When you have a captive audience, as in book fundraising or speaking engagements, you will require physical books on site. People will want to buy your book right then and there. They may forget to order the book afterwards or where to purchase it online. CreateSpace: This is Amazon’s print on demand self publishing platform. You can set up your book for free. Note that you can only print softcover books. IngramSpark: This is Ingram’s print on demand self publishing platform. Ingram is the largest book wholesaler in the world. There is currently a $49 set up fee. Note that you can print both softcover and hardcover books. We would be happy to discuss our print on demand services with you, and help you navigate through the world of on demand book printing.